Loss of use covers added expenses while your house is repaired or rebuilt. 2. How Much Liability Insurance for My Rented House? Loss of use coverage protects you if your home is uninhabitable due to a covered peril and you are forced to leave your home while repairs are made. It is also called "additional living expense" coverage since it provides you food, lodging and other necessary expenses while you are displaced. In order to extend this coverage to your second home, you need to add an endorsement to your current homeowner insurance or purchase another policy for the second home. 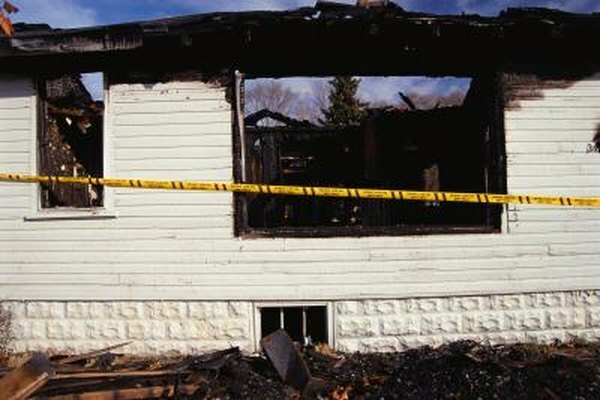 Fire, windstorms and lightning can damage your home to the point that it is unfit to live in. Also, law enforcement, disaster relief agencies and the fire department can require you to evacuate your home for a period of time. All of these examples are covered perils, which are normally covered under loss of use coverage. If these events occur, you can file a claim for the added expenses that are needed to maintain your standard of living during your dislocation. You'll receive payment for temporary housing expenses, increased meal expenses beyond the cost incurred if you lived at home, moving and storage costs, laundry and dry cleaning expenses, and even parking fees. If your second home is a vacation home and you do not rent it to others, you can cover it with an endorsement (additional coverage) to your existing homeowner policy or a whole new policy. Typically, the add-on option is less expensive. The endorsement or new policy will likely offer the same loss of use provisions as your regular homeowner policy. However, some insurance companies may limit the coverage to the times when you actually live in the premises, such as summers. If you rent out part or all of your second home at times, you need to consider a loss of use coverage that also covers your rental income. There are two ways you can accomplish this. First, you may be able to cover your lost rental income under the fair rental value option of your loss of use coverage, especially if you only rent part of your second home. The other and more comprehensive option is a landlord policy. This provides you other protections like property and liability coverage, and it also reimburses you for lost rental income if your tenant is forced to move out while the property is repaired. The standard loss of use coverage pays your extra living expenses while your second home is repaired or rebuilt, but there are time and dollar limits. The maximum dollar limit is usually around 20 percent of your dwelling coverage. So, if you had $250,000 in dwelling coverage, you would have $50,000 in loss of use coverage. Read your policy carefully since coverage limits, time limits and covered perils may vary from company to company.